Once again Recovery Week didn’t go to plan. Week #4 saw my chest cold take hold and a day off work. Some ordinary weather kept me off the bike and I finally got to go for a ride on Friday afternoon. This week I rode total of 14.7km; well below my average of 200-250km a week. I was planning to put another 20-30km on the tally today but due some ordinary weather Round 2 of the CORC XC Series was postponed. But the week itself wasn’t a complete bust. I have been looking at acquiring N+1 for a couple of months now. It was my plan to buy the new steed in Victoria before the end of June as my preferred bike was a lot cheaper interstate. I have been holding out hoping for a local bike shop to have a sale or negotiate a good deal. As luck would have it I was able to abide by Rule #58. I’ve had really good service at Onya Bike in Civic since I bought Zooey last year. I was able to pick her up at a mid year sale and was impressed by the service I received. I had heard mixed reviews from over riders in Canberra, but to date I can’t fault them. It was them who told me about The Berm which ultimately changed my life in Canberra and planted the seed that grew into an obsession with mountain biking and complete change of lifestyle. So when I went into Onya Bike on Saturday afternoon after looking for Wedding suits around the corner I was surprised to see the bike I’d been lusting over on sale. I spoke to the staff member (whom shall not be named) and I was promptly taking a medium sized Giant XTC Composite 29er 1 for a spin around the wet Canberra CBD. After a few seatpost adjustments I was parting with some hard earned cash for a deposit on what will soon be my new XC racing bike. 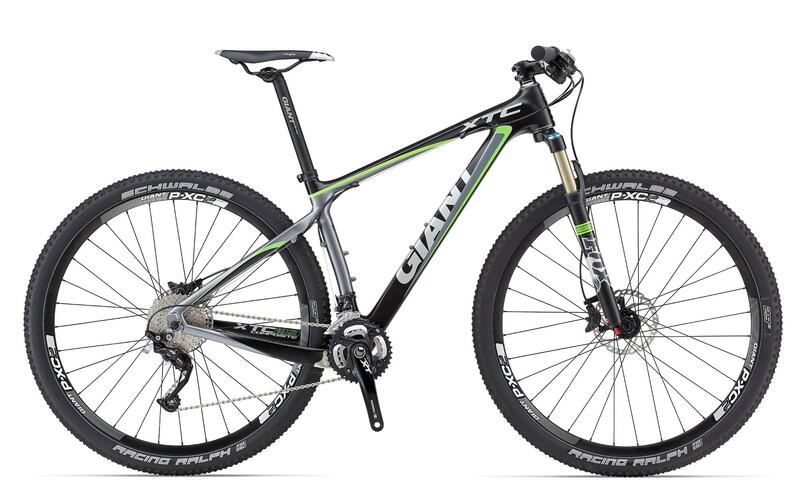 For what was supposed to be a quick trip to buy some new bike tubes I ended up getting a great deal on a new bike and even negotiated some component swap outs to suit my needs and riding style. My Father, Brother-In-Law and Girly were in attendance and I don’t think any of them expected me to buy a bike. But a great deal coupled with the chance to support my LBS couldn’t be passed up; so my plans of N+1 have been brought forward by about a month. This time there was no buyers remorse, just excitement over the impending acquisition of N+1.